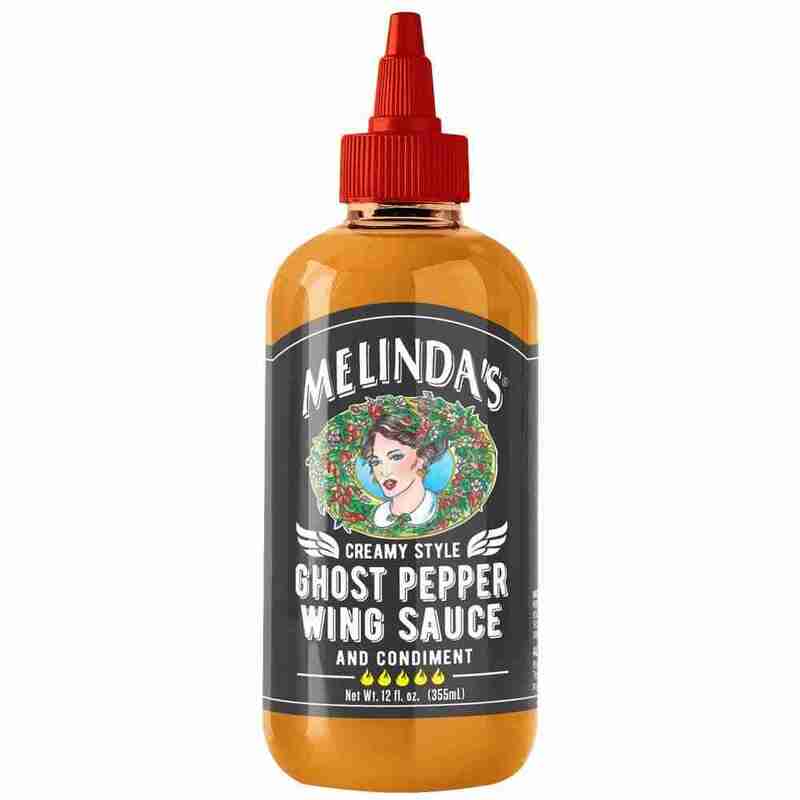 Melinda’s Creamy Style Ghost Wing Sauce and Condiment: a delicious blend of ghost, cayenne and habanero peppers. Ingredients: water, white vinegar, habanero pepper mash, cayenne pepper mash, carrot, bhut jolokia pepper mash (ghost pepper mash), canola vegetable oil, white onion, lime juice, salt, garlic, xanthan gum, natural flavor (butter). Heat Level 5/5: those who crave fiery wings. Our philosophy is simple. Heat and flavor mean everything. In Melinda’s Kitchen, Creamy Style things buffalo. We blend cayenne, habanero and slathered on a chicken wing. Ghost Pepper Wing Sauce and Condiment is crafted to be a table sauce and a coating for all ghost peppers together to make the most irresistibly spicy and tangy sauce you’ve ever slathered on a chicken wing.